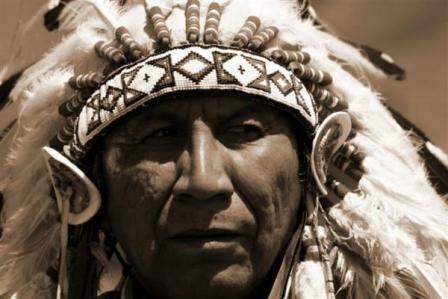 Chief Arvol Looking Horse is the 19th generation keeper of the White Buffalo Calf Pipe Bundle and holds the responsibility of spiritual leader among the Lakota, Dakota and Nakota People. He holds an honorary Doctorate from the University of South Dakota, and travels and speaks extensively on peace, environmental and native rights issues. He has been the recipient of several awards, including the Wolf Award of Canada for his dedicated work for peace. A skilled horseman, he shares his knowledge with the youth on the long distance rides that take place in South Dakota throughout the year. This entry was posted in Make No Bones Shows and tagged Chief Arvol Looking Horse, Connecting with Spirit, Indigenous, KAOS 89.3 FM, Lakota, Make No Bones About It, Raven Redbone, Water is Life. Bookmark the permalink.